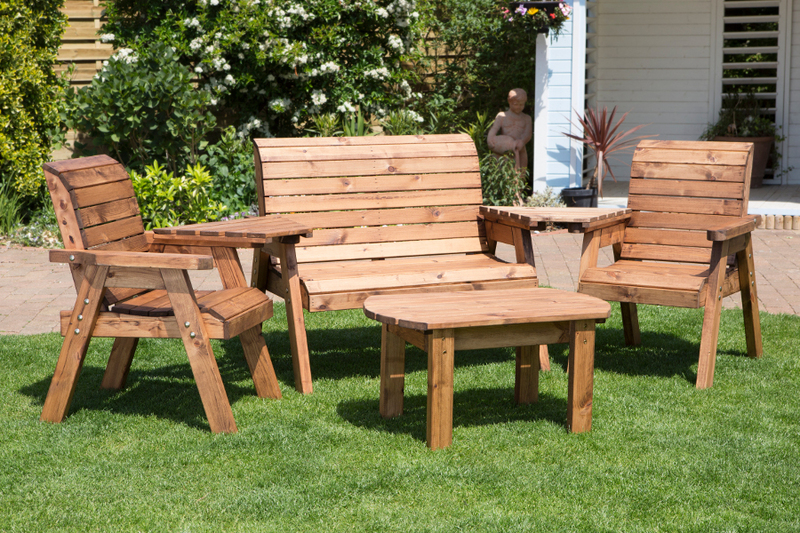 A lovely handcrafted outdoor furniture set made with sustainably sourced wood and consisting of a two seater bench, two chairs, two detachable angle trays and a coffee table – ideal for outdoor entertaining in the sunshine. Lovingly made right here in the UK, the furniture will be delivered to you fully assembled and it is treated with one coat of oil based wood preserver to protect it from the elements. Area require 3.1 x 1.52m approx. The Four Seater Garden Furniture Set - HB07 product ethics are indicated below. To learn more about these product ethics and to see related products, follow the links below. 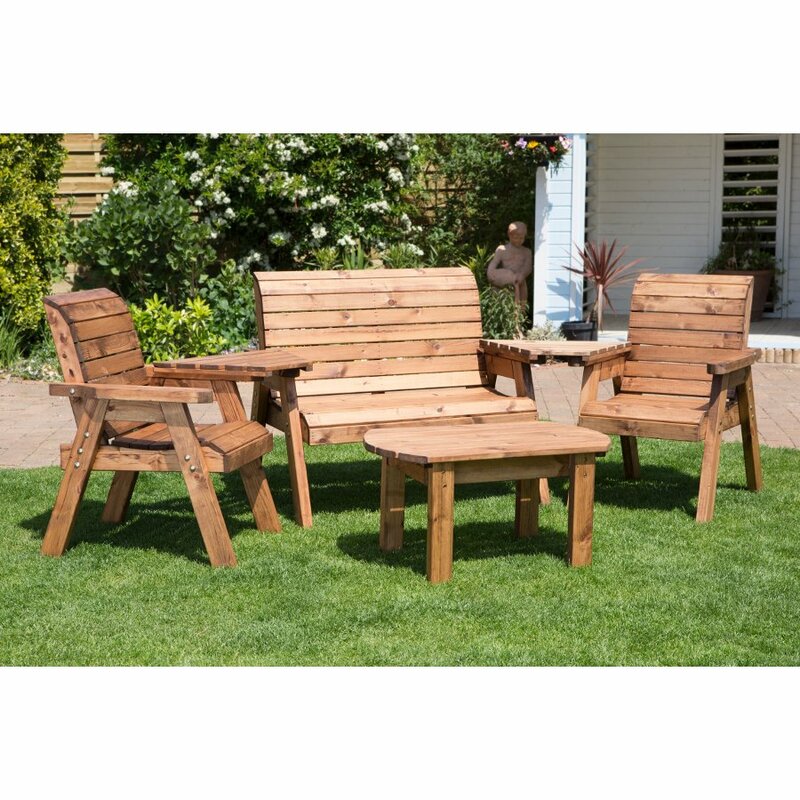 There are currently no questions to display about Four Seater Garden Furniture Set - HB07.